A new police operation targeting Harrogate's street drinkers will come into force next week after increasing reports of intimidating anti-social behaviour across the town centre. Last week, the Advertiser highlighted that re-emergence of the town's street drinking problems with threatening groups of people gathering near Wesley Chapel on Oxford Street. Concerned businesses and members of the public have reported witnessing threatening behaviour, fights, street drinking, public urination and drug use within the group. PC John Truman said the police were aware of the ongoing problems in the area and have promised a stronger presence to identify the individuals. He said: "There has been an increase in this kind of behaviour and we understand the impact this is having on businesses and shoppers going about their day to day lives. "Starting next week, a robust police operation to tackle the anti-social behaviour and criminal offences will come into force as well as a range of different measures. "We will be making full of the dispersal powers, using the Public Spaces Protection Order (PSPO) and collecting more information on youths to identify them and find out what it is they're doing. "We have secured extra funding to have boots on the ground to have sufficient numbers of police to make sure we address these issues." Fears were first raised about the growing number of intimidating street drinkers at a public meeting held in February. 'Operation Parakeet' was launched by police in response to the problem before new PSPO powers were granted to authorities in July. The order prohibited anyone from drinking in the town centre’s streets after they are asked to stop. Those who refused could then face a prosecution or fine. Instances of anti-social behaviour reduced over the summer months but police have now been forced to launch 'Operation Yeehaw' to combat the growing problem. PC Truman said: "We know who is responsible and we have evidence of them on CCTV. People are being reported for offences and we can identify them from using this. "We now need to deal with the existing issued behind the longer term problem of street drinking and addressing this to make sure we don't face this situation again." The operation is designed to target the "ringleaders" of those involved with police blaming their culture and behaviour for the group's growth. "When the ring leaders behave in a certain way it attracts attention from people who attach themselves into the group," PC Truman explained. "They have grown in confidence and their behaviour is increasing because they have not been caught. We know who the individuals involved are and are fully aware of their history and background. "Being a fairly small town a lot of the local residents know each other and certain behaviour attracts other people to this group." A number of schoolchildren are also believed to be involved in the group but PC Truman warned the offences of their activities were "irrespective of age". He said: "The problem is the drinking culture and the drug taking culture. It kind of attracts people of that ilk to each other and it does not matter if people are in their mid teens or even older. 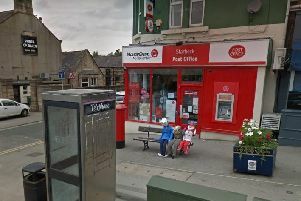 "People are expected to feel safe in this area but there are too many instances of ASB and harassment and distress to the public and local business and it's unacceptable. "It needs to be addressed and it will be addressed. We need to send a strong message to the local community of law abiding citizens that we are doing everything to make their life as comfortable and as happy as possible. "The offenders need to understand that this behaviour will not be tolerated and people could be prosecuted for these offences."